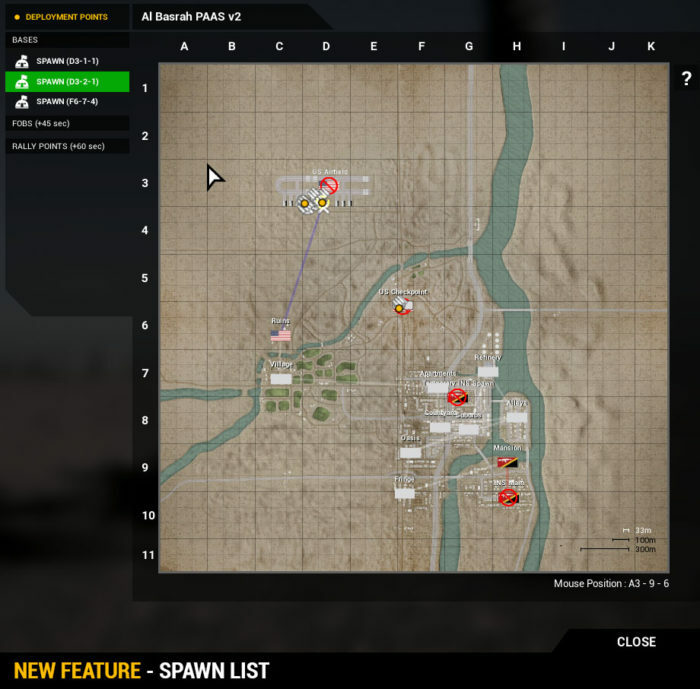 Alpha v9.6 : Squad – Communicate. Coordinate. Conquer. 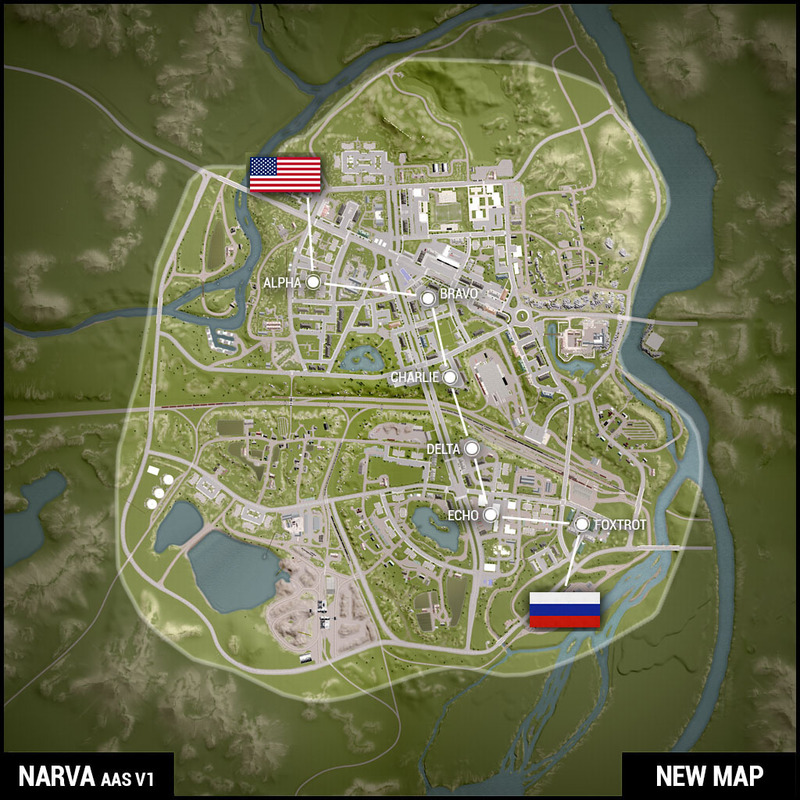 The time has come to hit the streets of Narva! Alpha 9.6 is upon us, and a new map isn’t the only thing in store for you! Are you locked and loaded? Aww, yeah, that’s right: squad locking makes its debut in this patch. 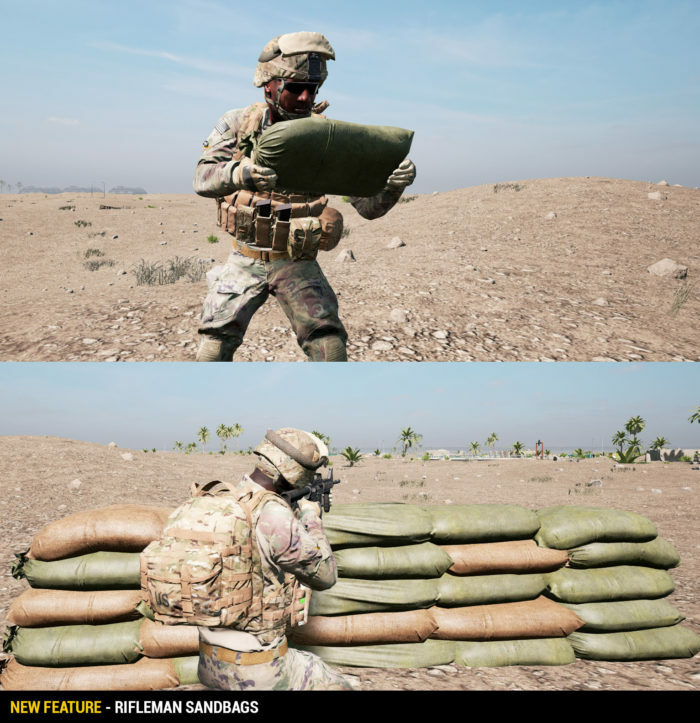 Not only can you fortify your squad, Riflemen are now capable of deploying sandbags. Everyone else is capable of destroying them… and maybe a few other deployables too. Dig in! Version 9.6 is now available via Steam. Please always reset your appdata in the game settings on every new build! Vehicle claiming can now be done with only 1 person around the vehicle, as long as there are enough people in the squad. This is especially relevant for remote claiming, as players no longer need to send back two people to grab that empty logistics truck that saves your team. Squad now get a vehicle claim unlock at 2/4/6/8 squad members. This combined with the above allows players to make more dedicated vehicle squads. Please make sure you remember to transport the rest of the team with all those APCs! Changed round start-up timers to 3 minutes of preparation time (previously 2 minutes) to help squads get formed and Squad Leaders coordinate before round start. Resupplying or requesting kits from an ammo crate now expends ammo resources from the FOB depending on the kit requested/resupplied. All kits cost 25 ammo points to request or resupply (regardless of missing equipment — do not spam it unless you need it). Exceptions are as follows: UGL, Raider, and Scout cost 50 to resupply. Light Anti-Tank costs 75 to resupply, and Heavy Anti-Tank costs 100 to resupply. Deployables are now able to be damaged by weapons and thus destroyable. Boom! Sandbags are able to be damaged by all explosives as well as 14.5mm and above. HESCO based deployables are only currently destroyable by the IED, or through heavy bombardment by mortar. This includes US and RUS MG bunkers made out of HESCO. Ammo boxes are quite fragile and vulnerable to most things besides small arms. HABs from all factions are only currently damageable by IEDs as well as mortars, but only through heavy bombardment of mortars. Useful for disabling spawns from afar. Radios are now damageable by a few select ranged weapons. No ranged weapon is able to quickly destroy the radio avatar of the FOB, but they can hurt it through prolonged fire, thus making it vulnerable if exposed. It is currently vulnerable to the weapons you would use against armored vehicles, HEAT rounds, HMGs, cannons, big explosions, and mortars. Taking down a FOB is still a team effort! Furthermore, Radios now have damage stages so you can keep track of destruction from ranged weapons. You can use your shovels to heal it back up again. You can also restore its health by having a lot of friendlies nearby. Left alone it will not heal back up as you are used to. Finally Radios have 3 damage stages so you can more easily keep track of your progress to take down a FOB. Emplaced weapons can also be damaged now. Similar to radios, this will require the type of weapons you normally employ against vehicles. Vehicle repair stations are similarly vulnerable to anti-vehicle weaponry. Razorwire is only destroyable by explosive weapons. Riflemen finally get something the other classes do not! The ability to deploy a single line of sandbags to lightly fortify temporary positions. Each Rifleman can only ever deploy one set of sandbags. (The old one will disappear, similar to IEDs.) 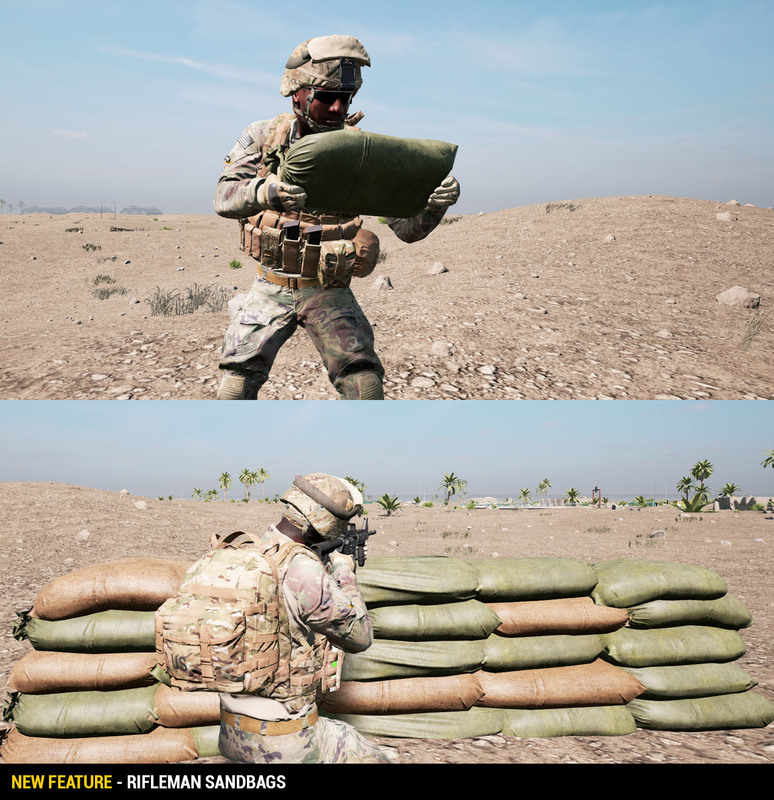 Sandbags are still buildable in unlimited numbers by your SL at a FOB. This applies for all Riflemen classes with iron sights and red dot sights. Riflemen sandbags are not stackable, but SL placed sandbags can be stacked. FOBs no longer passively generate ammo or construction points. Please keep your logistics trucks safe and be sure to give lots of love to the brave drivers! 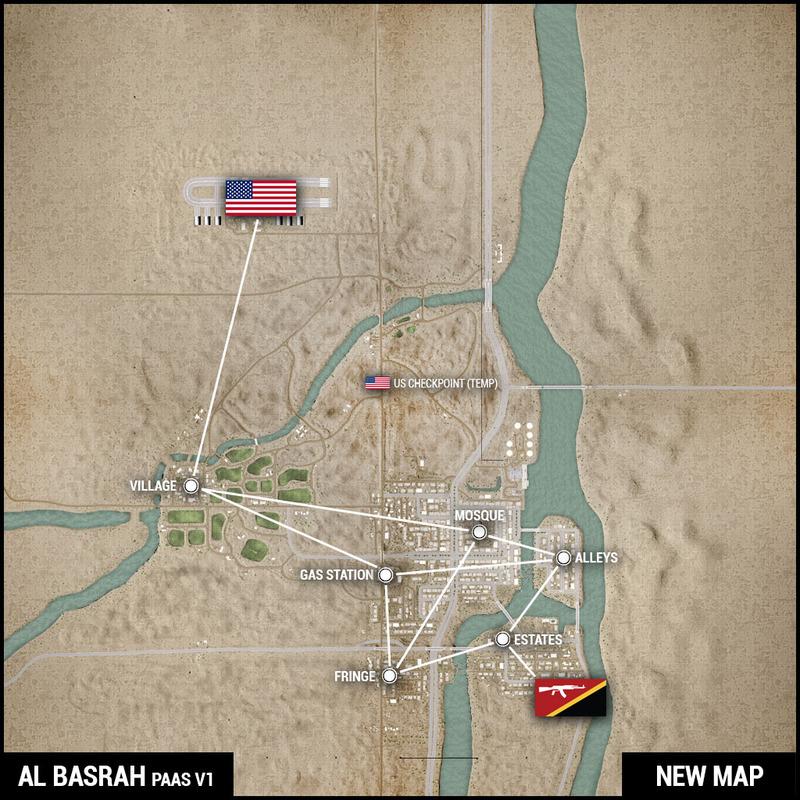 A freshly deployed FOB still starts with 100 ammo points and 200 construction points. All armored vehicles no longer take splash damage from Heat-Lance type weapons (RPG-7 HEAT, RPG-7 Tandem HEAT, SPG-9 HEAT, RKG-3, M72 LAW, 40mm HEDP). This means that you need to hit a direct hit on the vehicle to damage it. Up until now, hitting the ground next to a vehicle did a significant amount of damage to it – time to make those rockets count! Unarmored vehicles such as trucks and technicals still take splash shrapnel damage from these weapons, but significantly less than from a direct hit. Ammo crates now cost 200 construction points (was 300). TIP: This allows quick rearms in the field for a few soldiers in critical need of bandages or ammo. Left unsupplied, this FOB will not generate any new points, so think about taking the FOB again afterwards to prevent blocking the team or giving away the FOB and associated tickets. The bare M2A1 Browning and NSV Tripods are now 250 construction points (was 350). Their bunker counterparts are now 450 points (was 500). The Dshk emplacement is now 200 points (was 350). TIP: This will enable you to deploy it off of a fresh FOB, but please be cognizant that left unsupplied ,it will only have a limited amount of ammo as well as attract enemies to its location. Remember to take down the FOB when you do these hit and run tactics. Unarmed HESCO bunker has been reduced by 50 construction points. Militia sandbag bunker reduced to 150 construction points (was 350). Ladders reduced to 100 construction points (was 200). Vehicle Repair Stations have been reduced to 1 per FOB. SPG-9 is now limited to 3 per FOB (was previously limited to 2). Added a HESCO equivalent fortification for Insurgents and Militia in the form of a line of empty oil barrels filled with dirt and gravel. Costs 200 construction points and limited to 6 per FOB. Added another magazine to the M110, also brought up the SVD to have the same number of total rounds as the M110. Slightly lowered the G3A3/G3A4’s felt recoil. Lowered sway motion on all binocs. Added “mercy bleed” to last flags on AAS. Capturing the enemy team’s last flag will incur an accelerated bleed to the enemy team: 50 tickets per minute. Note: Due to time restrictions this will be updated with a different timer in a future update to better suit the intent. Added additional logistic trucks on medium to large maps that only had one logistics truck. Additional motorbikes have been added to the expanded Al Basrah map. Additionally, some motorbikes are now permanent recurring spawns. There is now a slight delay for dropping supplies from a logistics truck to a FOB. When throwing a smoke grenade there is a tiny delay before it starts emitting smoke. This means that it no longer marks your exact location as a target when it should be obscuring it. The wait is over! It is now possible to lock squads. We urge veteran players to not lock themselves away from the community at large, especially during times of influx. You can no longer join a locked squad, and trying to join a full or locked squad will now return you to the role select screen. 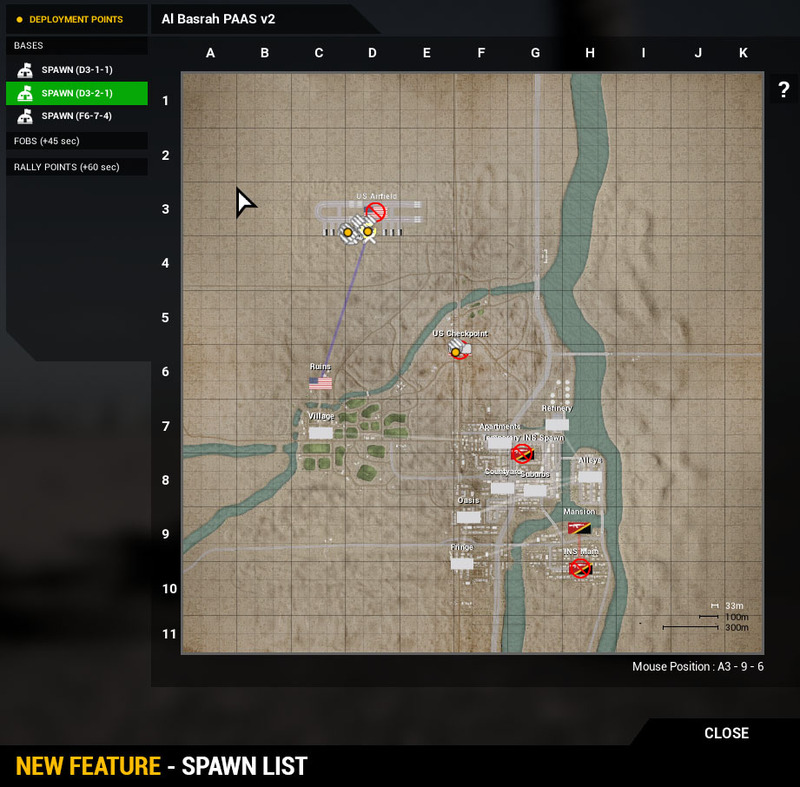 New Spawn selection list next to the map, which lists all the possible spawns and allows players to easily identify where to spawn. 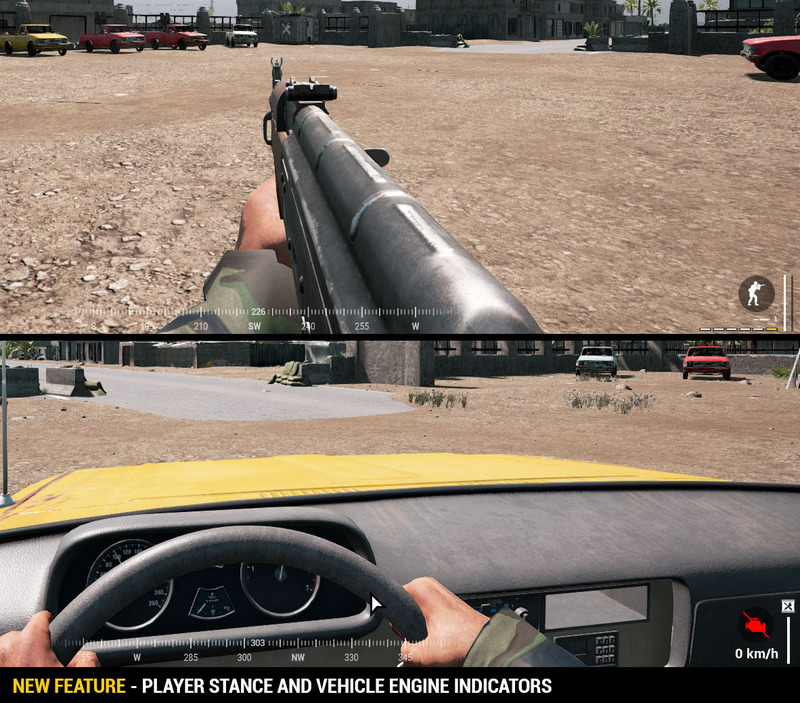 New Player Stance and Vehicle Engine indicator icons, that show what stance your character is adopting (standing, crouching or prone, as well as which way you are leaning), and if you are in a vehicle the indicator would also show whether or not your engine is on. AAS v1, Invasion v1, and PAAS v1 have been added. Experimental: Invasion v1 has been updated. Defenders can no longer capture flags taken by BLUFOR. Experimental: Due to “mercy bleed” on last flags, additional “end match” flags have been added to the ends of the PAAS lattice. All gameplay layers have been changed to new layouts. Removed cardinal directions from Yehorivka flag names. 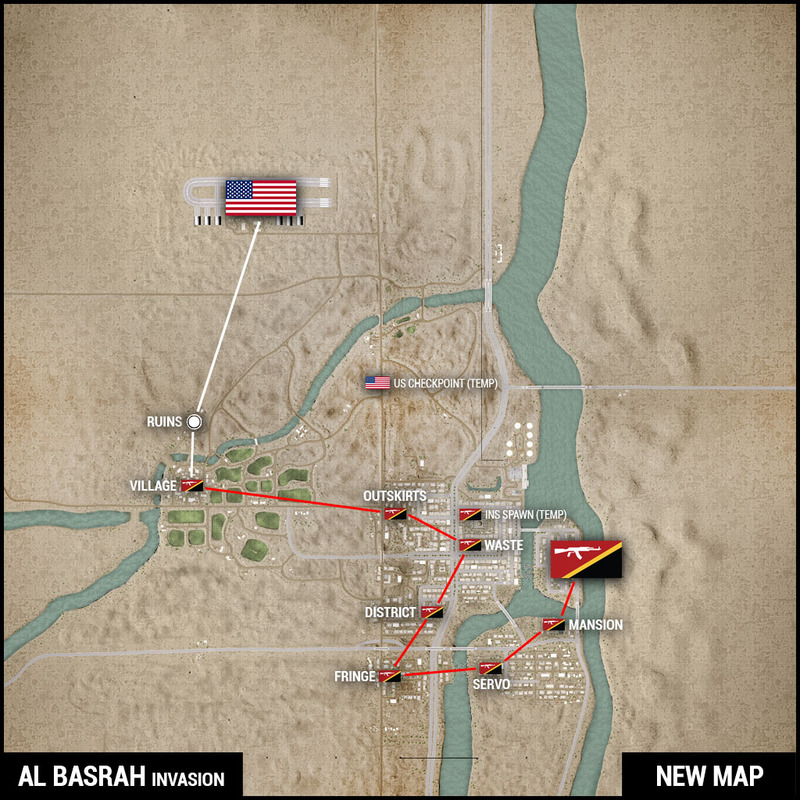 Attack and Defend markers have been removed on Invasion layers to reduce confusion on the Experimental Invasion layers for Al Basrah and Narva. If we decide to move forward with the new Invasion mechanic, additional work will need to be done to code in new attack/defend functionality specifically for Invasion layers. Fixed an issue where the shield on the Dshk machine guns didnt stop bullets. They now stop small arms again, and offer limited protection against heavy calibers. Fixed an issue where all unarmored vehicles were not behaving as intended. They now offer limited protection against small arms for the driver and any other occupants fully enclosed inside the vehicle. You can still shoot out the infantry in there but they will be a bit more resistant to small arms fire. Fixed an issue where the M939 truck was almost bullet proof to small arms fire. Fixed several lean issues on Gorodok Invasion v1. Fixed a lean issue on flag Papanov in Fools Road AAS v3.